The story of two children has inspired the UK Parliament to change the way organs are donated in England. Max's life was saved after he had an organ donation from Keira, who sadly died when she was nine. Her donated organs saved four people in total. Now Max is much better, and his story has inspired many people to sign up to the organ donor register. Last year, Prime Minister Theresa May agreed to pass a law to make sure more adults are signed up to the organ donor register. Before, if adults wanted to donate their organs after they died to somebody who needs them, they would have to sign up to a special list called the organ donor register. In Wales, adults were put on the list automatically instead of having signing up. This is expected to be the same in England from 2020. 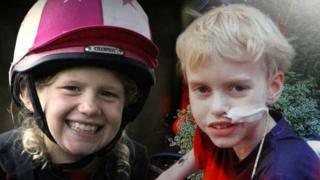 New legislation named Max and Keira's law is expected to clear its final hurdle in Parliament today. But you are only allowed to go on the register if you are over 18. If you are younger, you can tell your parents what you'd like to happen but they would make the final decision. There is still an option to take an adult off the list - they would just need to tell the NHS, but it is hoped that because people are automatically signed up, more lives will be saved. At the moment, there are 6,000 people on the transplant waiting list in the UK - this means they are waiting for an organ donation that will potentially save their lives. Max and Keira's families have been encouraging this law. Keira's family has also set up a charity in memory of their daughter to help other families who have lost a loved one. It's so sweet how she gave up her heart for him. Did you know you can donate one of your kidneys and you can still survive?